Valve to Distrubte on the Wii U? Yes, Please. 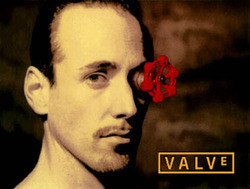 I used to be a big PC gamer, and Valve definitely played a big role in that part of my gaming life. So when I heard Valve might be turning their attention towards Nintendo, it would be an understatement to say I was a bit excited. Today, Valve co-founder Gabe Newell talked about the possibility of bringing Valve games to the Wii U. Growing up with games like Half-Life and Counter-Strike, I really hope that Valve actually decides to publish games for Nintendo. Over the past few years they’ve begun releasing games for the Xbox 360 and Playstation 3, so there’s no reason, now that Nintendo has the processing power, that they should shy away from the Wii U. Readers, what Valve titles would you like to see on the Wii U?